SolidPepper is a product information management (PIM) software that enables B2B and B2C eCommerce industries of all types to manage their product information, enrich catalog descriptions with pictures and videos (DAM), and automatically generate designs for paper catalogs or brochures using the Adobe InDesign plug-in. The platform allows for simplified collaboration between both internal and external users within the organization including teams, suppliers and distributors. SolidPepper helps organizations to centralize all product data and digital media through its integrated PIM and DAM systems. Users can collect and manage product data from multiple sources and create a single reference source for products, providing internal and external users with a global view that always stays up to date. SolidPepper’s expanded product information sheets enable users to import images, drawings, and technical data sheets directly, and customize all characteristics. Product data can be imported using the PIMtool or via an Excel file. Automated information reports help notify users of missing images and incomplete product information sheets. Users can add a custom e-shop button to their existing online store, or have SolidPepper create the entire website from scratch. Tools for product sourcing and monitoring help organizations to increase their product ranges by adding new suppliers, and monitoring internal product research. Organizations can control and manage access to specific product information sheets, and enable modifications or allow for a simple review. Checked files can be locked or unlocked to avoid unwanted changes. SolidPepper includes an Adobe InDesign plug-in in order to automate the generation of paper catalogs with optimal page layouts. In case of any changes in prices or corrections, users can make the changes via the PIM, and all product data will be synchronized while preserving the layout. SolidPepper also includes a translator tool which translates catalog text and product information sheets to another language, automatically. There are currently no reviews of SolidPepper. Centralize product data in order to create a single source for referencing products, and provide all users with a global view that always stays up to date. Users can collect and manage all product data from multiple sources in a single location. Enhance product information with SolidPepper's expanded product information sheets, and control and enrich product information across the organization as well as for clients. 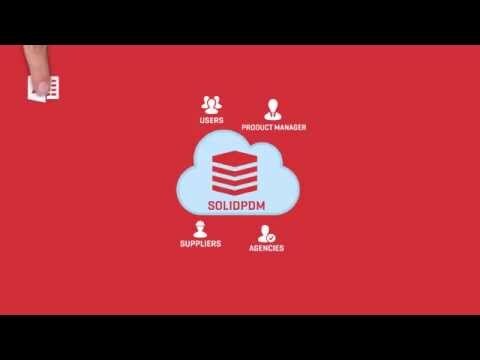 With SolidPepper, product managers, marketing teams, salespersons, and designers are able to collaborate through a single, cloud-based platform which is accessible via any browser. Manage the business' online store and provide clients with detailed product descriptions and visual content to stimulate sales and avoid product returns. Automate catalog creation by importing data with a few clicks using the PIMtool or via an Excel file. The InDesign plug-in allows for automatic catalog and brochure design generation, ready for print. Below are some frequently asked questions for SolidPepper. Q. What type of pricing plans does SolidPepper offer? Q. Who are the typical users of SolidPepper? Q. What languages does SolidPepper support? Q. Does SolidPepper support mobile devices? Q. Does SolidPepper offer an API? No, SolidPepper does not have an API available. Q. What other apps does SolidPepper integrate with? Q. What level of support does SolidPepper offer?